Enjoyed our OPEN DAY last year? Then make sure you come again this year and bring more people with you, including the little ones. We’ve got everything to make your day relaxed and enjoyable, starting with kids corner which will have Garden Games, Bouncy Castle and Face Painting. The Track & Field games are BACK! with the new addition TUG OF WAR. So don’t miss out in taking part in Welly Wanging, Keg Tossing, Egg & Spoon Race, Wheelbarrow Race, Apple Bobbing, Egg Throwing and most importantly the CIDER ICE LOLLY eating championships using our New Exciting Summer Ciders Bubblegum Burst & Stormy Lemonade. For food we have invited back Cow & Apple to serve up some delicious burgers, including veggie ones. Adam’s Chilli Sauces alongside to spice up your burger and take home some lovely homemade condiments. Sherbornes famous Oliver’s Cafe will be serving the sweeter treats in life and also offering teas and coffees. If that wan’t enough this year we will have more music and an a all important marquee. Our favorite Folk Band the Dorset Teabilly’s will kick the day off at 2pm and they have arranged some acts to see us through until 5pm when Rocking Rob Crocker takes to the stage. After Rob we have a Sassy Country Singer doing 50’s & 60’s, then to play us out it is Midlife Crisis, a rocking good band to get you all charged before we kick you out and shut the gates. 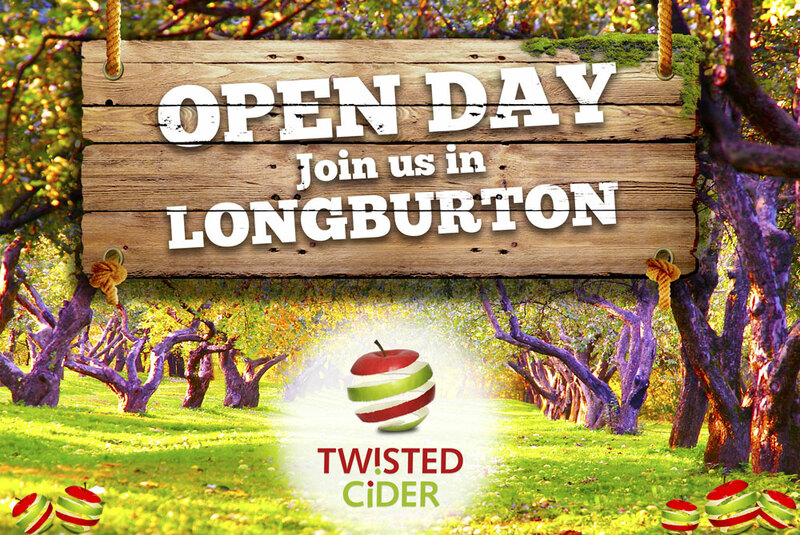 Hey lets not forget the Twisted Cider Bar where we will be offering more drinks to suit your requirements. Gates open at 2pm and shut at 10pm.